Loaded Guns: the Movie COMING SOON! 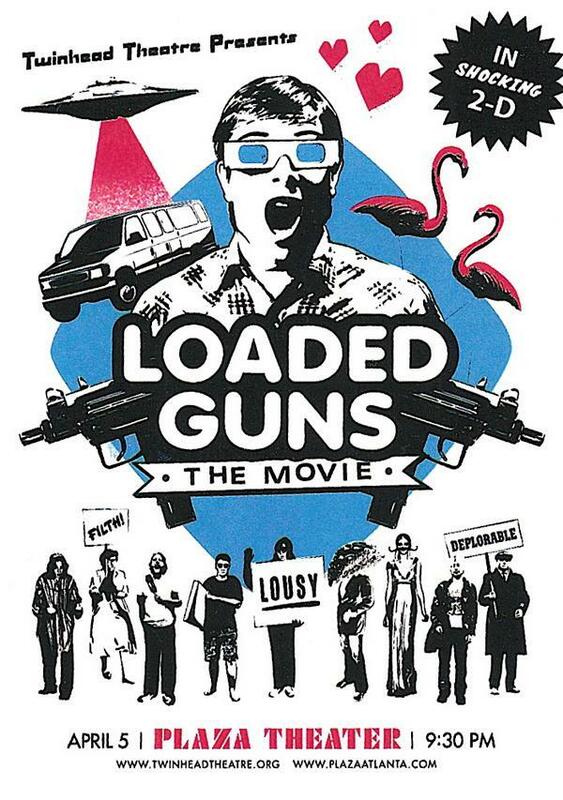 Loaded Guns: the Movie Balls-Out DVD Release and Screening is FRIDAY MAY 13TH AT 9:30 P.M.! Yeah!! Our rapid-fire John Waters-meets-Kentucky-Fried-Movie movie was made in 2008, and if you’re wondering why the DVD release is just now happening, read this. We played it to sold-out crowds in ’08 and then sent a copy to Baghdad to entertain the troops. It also won Best Local Feature in the 2008 Atlanta Underground Film Festival! So now you can see it for yourself or see it AGAIN for yourself, and then buy a copy that you can then watch religiously until you have the entire thing memorized. HOORAY! Our bestie Rob Craig designed this poster, and he is even now working on a new poster for the DVD Release party so get ready for that sexxxxiness too!